And so begins the story of Alan Wake. When you begin the game, that line is spoken by the main character, writer and horror novelist Alan Wake, and it sets the tone perfectly for the adventure that you are about to embark upon. Alan Wake is a game where you’ll spend time searching for answers, questioning what is real, and answering questions that the main character never wanted to have asked. The beauty of the title is that the premise is simple and enthralling all at once—a horror novelist’s story has come to life, and he is in the middle of it. Even stranger, he doesn’t recall writing it. We must say, we’ve been excited about Alan Wake since we first heard about it some five years ago. The narrated gameplay makes it feel like you are playing through a novel, or maybe more closely, a series of Twilight Zone episodes. This is a welcome difference from the all-to-common feeling that developers often try to make it feel like you are “playing” a movie. The game has been in development forever, and saw a couple of delays, which normally signals trouble (just look at Too Human.) However, we are here to tell you that Alan Wake didn’t suffer for it. This is one book that you won’t want to put down until the very last word. Alan Wake begins as any good story would, setting up the scene and giving you some character development so that you can get acquainted with what is about to happen. 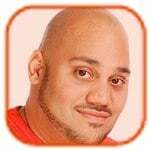 Alan and his wife Alice are headed on a vacation away from New York in the hopes that a change of scenery and slower paced lifestyle will help the writer’s block that the bestselling author has been experiencing. They settle on Bright Falls, Washington, as their destination. A small town on the coast, as is typical in these types of stories. As Alan begins meeting the locals, you can immediately tell that something is…not right. Soon enough, Alice is missing and Alan wakes up in the midst of a car crash seven days later, with no recollection of the past week. As you start to wonder around to collect your thoughts, you start picking up pages of a book manuscript. A manuscript that Alan Wake obviously wrote, but has no recollection of writing. Even more disconcerting? 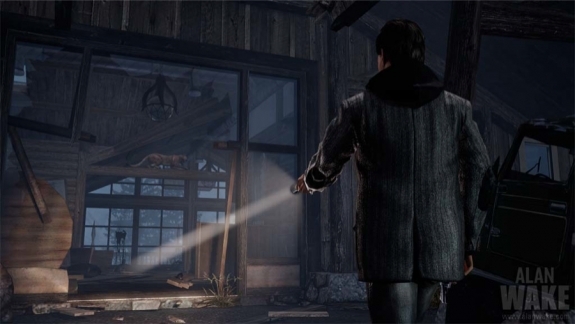 The events on the pages foreshadow things that are happening in the real world, making Alan Wake a character in his own twisted tale, focused on the darkness in Bright Falls. As much as we’d like to tell you more, Alan Wake is truly a game where you should take in the story all on your own, and in your own pace. We certainly don’t want to spoil anything for you, even if it’s a minor detail, so we will stay away from as much of that as we can. What you should know, though, is that the story is solid. 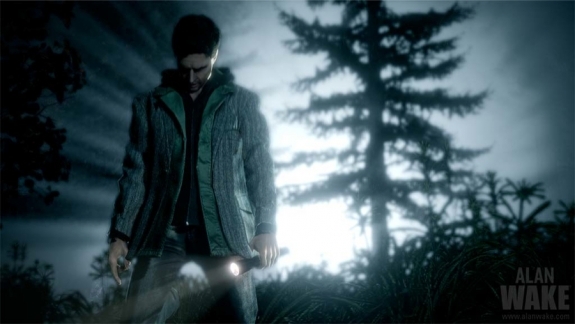 In fact, the story is our favorite part of the Alan Wake experience. We mentioned earlier that the game is like playing through a series of Twilight Zone episodes. Let’s explain. The game is divided into six episodes, and at the beginning of each, you get a recap of the events that have lead up to where you are now. Each episode has its own mystery, its own story arc, and its own plot twist at the end that keeps you wanting to come back for more. This is a much more appropriate structure for a game like Alan Wake rather than simply breaking up the game into levels. 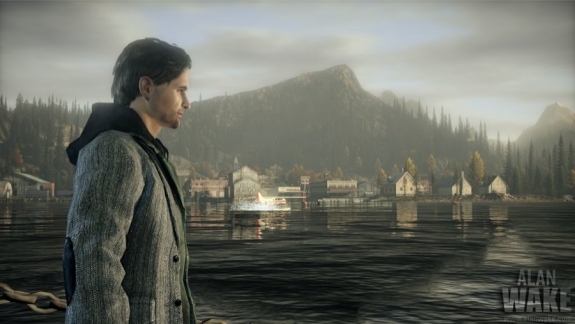 The cast of characters in Alan Wake is just as impressive as the story itself. 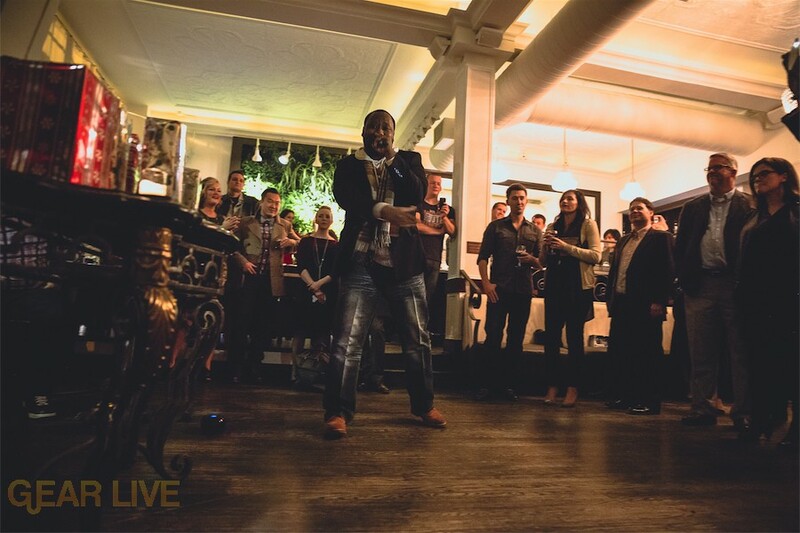 All the text is written in such a way to be memorable and to keep you enthralled in the experience. The voice acting here is top notch, although the actual characters mouths could stand to do a better job of keeping up with the text. In fact, if there were one complaint we had about the game as a whole, it’s that we feel that in this far along in the Xbox 360 lifespan, we’d expect the character models to look a bit better than they do…but really, that’s a minor distraction that we were glad to look past. Going from our biggest complaint to what may be what we like most about the game, Alan narrates you through it. So while you are playing as Alan, finding manuscript pages that he doesn’t remember writing, his voice is also there as narrator, as if he is recalling the story you are playing at a later date. The narration helps keep you in the mindset that you are playing through a novel, but also comes at times where you might need help on where to go or what to do next. We seriously love the whole novelist aspect of the game. Finding manuscript pages scattered throughout Bright Falls, which can all be read immediately and get placed in sequential order, gives you insight into the world around you and what may be happening next. We generally dislike when games throw in item collection just for the sake of having something more to do, but this doesn’t feel tacked on at all. Let’s talk about gameplay mechanic for a second, because we think the concept here is a pretty novel one. Your main opposition, aside from confusion, are the Taken. These are Bright Falls townspeople that have been…overtaken…by the darkness. They thrive in the shadows, and the only way to take them down is to bathe them in light, which generally is done by using Alan’s flashlight, although you can use other light sources in the game as well. Shining light on the darkness burns it away, leaving a possessed maniac that you can take down with your gun. You aim the flashlight with your right control stick, turn up the brightness with the left trigger, and fire your gun with the right trigger. This works really, really well. You have to manage both gun ammo and flashlight batteries appropriately to get through each episode. As you forage your way through Bright Falls, you find other easter eggs and items that offer you more clues into exactly what is happening around town. You will often come across radios that you can turn on that give you some extra information on the story background, and there are televisions throughout the land that you can turn on to watch an episode of a series called Night Springs. They are a couple of minutes long, and fashioned after The Twilight Zone, focusing on a town that is dealing with a bunch of odd events and paranormal activities. While playing, we found that these were not only welcome distractions from the intense gameplay, but also just generally entertaining in their own right. When all is said and done, Alan Wake isn’t just a good game with a decent backstory and interesting play mechanics; it’s a great game with one of the most solid stories we’ve seen, with gameplay to match. The way that things are written, you are always wanting to press on, just to find out what happens next—the mark of any good fictional novel. The characters all fit, the world and scenery work perfectly, and the combat is intuitive, fun, and sometimes, straight up intense. We highly recommend the game, and truth be told, we wouldn’t mind a little more. Luckily, Remedy is already hard at work on adding in more episodes through DLC. 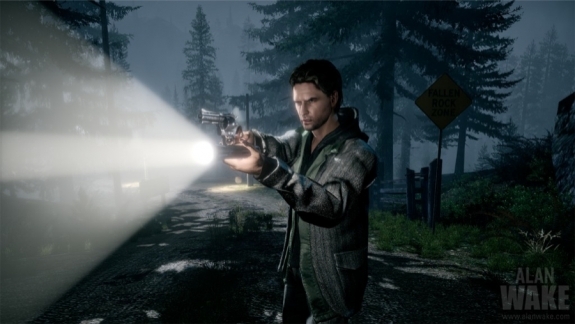 Alan Wake will be available on May 18th, and you can pre-order it now on Amazon.